Nuclear negotiations between the United States and North Korea have proceeded in fits and starts across three decades and have failed to halt the advance of the North’s atomic weapons program. North Korea ratifies the Nuclear Nonproliferation Treaty (NPT), a multilateral agreement whose dozens of signatories have committed to halting the spread of nuclear weapons and technology and promoting peaceful cooperation on nuclear energy. 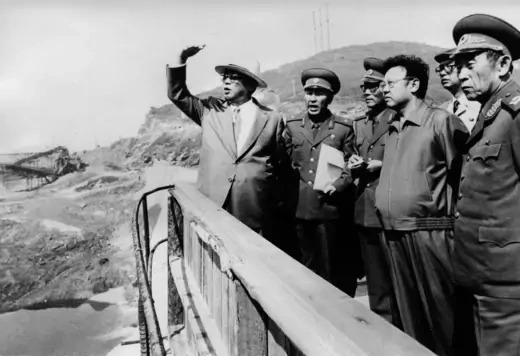 North Korea built its first nuclear facilities in the early 1980s. 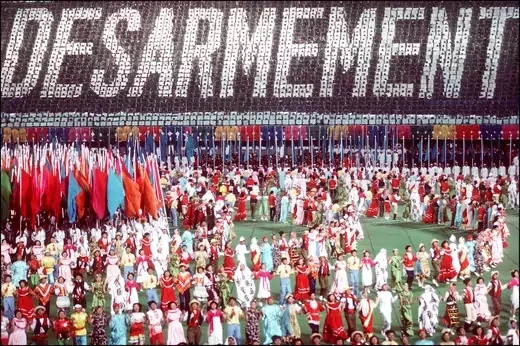 The United States announces it will withdraw roughly one hundred nuclear weapons from South Korea as part of the original Strategic Arms Reduction Treaty. The agreement between President George H.W. 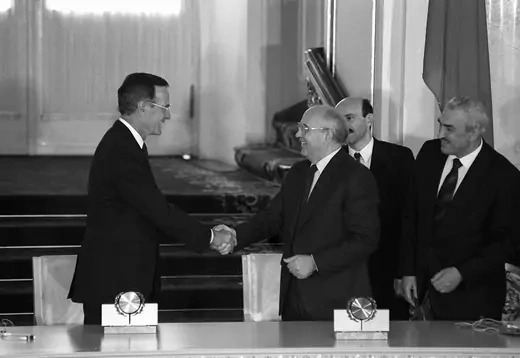 Bush and Soviet leader Mikhail Gorbachev, known as the START treaty, limits the deployment of offensive nuclear weapons abroad. The governments of North and South Korea agree [PDF] to “not test, manufacture, produce, receive, possess, store, deploy, or use nuclear weapons,” as well as ban nuclear reprocessing and uranium enrichment facilities. 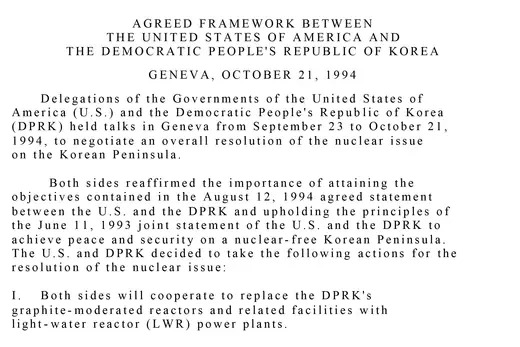 The treaty also commits the two Koreas to use nuclear energy only for peaceful purposes. Pyongyang rejects inspections by the International Atomic Energy Agency (IAEA) and announces its intent to leave the NPT. However, the country suspends its withdrawal following talks with U.S. diplomats in New York. Pyongyang agrees to comply with IAEA safeguards, including inspections at seven declared nuclear sites. The first inspections take place in March 1994. Amid escalating tensions on the peninsula, Jimmy Carter becomes the first former U.S. president to visit North Korea, where he meets with Kim Il-sung, the country’s founder. Carter’s trip paves the way for a bilateral deal between the United States and North Korea. 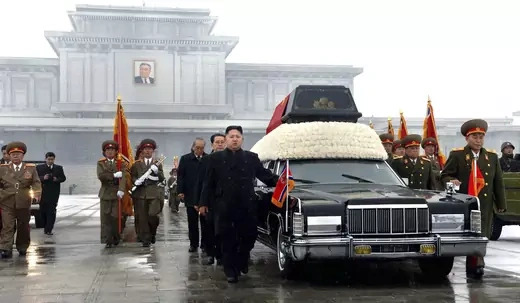 Kim dies weeks later and is succeeded by his son, Kim Jong-il. The first page of the Agreed Framework. The United States and North Korea sign the Agreed Framework [PDF], in which North Korea commits to freezing its illicit plutonium weapons program and halting construction on nuclear reactors, in Geneva. In exchange, the United States pledges to provide sanctions relief, aid, oil, and two light-water reactors for civilian use. Earlier in the year, the CIA assessed that North Korea had produced one or two nuclear weapons. 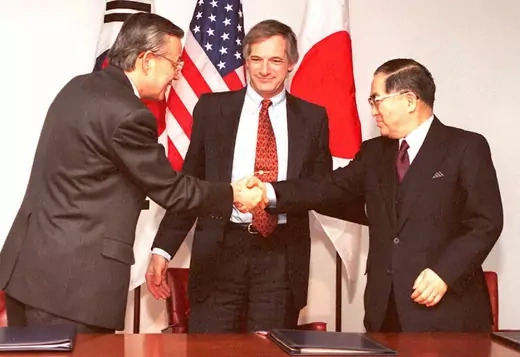 The United States, Japan, and South Korea establish the Korean Peninsula Energy Development Organization (KEDO) to implement the 1994 Agreed Framework and oversee the financing and construction of the two light-water reactors. KEDO breaks ground in August 1997. 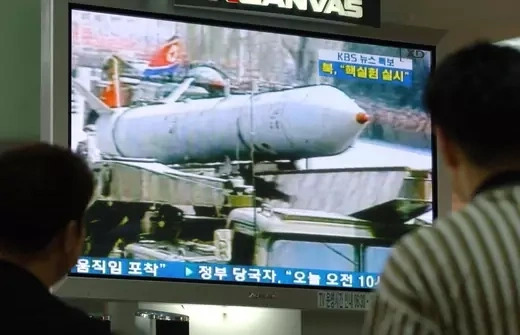 North Korea agrees to suspend testing of long-range missiles following talks with the United States; in exchange, the United States eases economic sanctions for the first time since the beginning of the Korean War in 1950. South Korean President Kim Dae-jung meets with Kim Jong-il in Pyongyang for the first summit between Korean leaders since the peninsula’s division five decades prior. The rapprochement results in a number of joint commercial and cultural projects, including construction of an industrial complex and the reunification of families separated during the war. Following the summit, the United States eases sanctions further, allowing some trade and investment. North Korean General Jo Myong-rok meets with U.S. President Bill Clinton in Washington, making Jo the highest-ranking North Korean official to visit the United States. 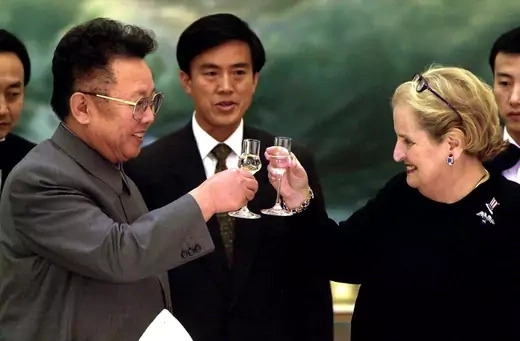 A few weeks later, U.S. Secretary of State Madeleine Albright travels to North Korea to discuss the country’s ballistic missile program and missile technology exports. The diplomatic overtures lead to missile talks in November, but Clinton’s presidency ends without making additional nuclear or missile deals. 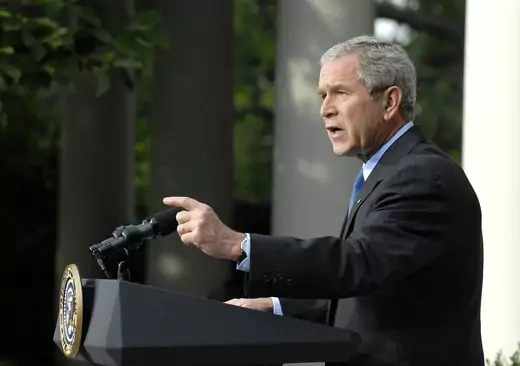 President George W. Bush takes office in 2001 and pursues a harder line toward Pyongyang, characterizing North Korea, along with Iraq and Iran, as part of an “axis of evil” and imposing new sanctions. 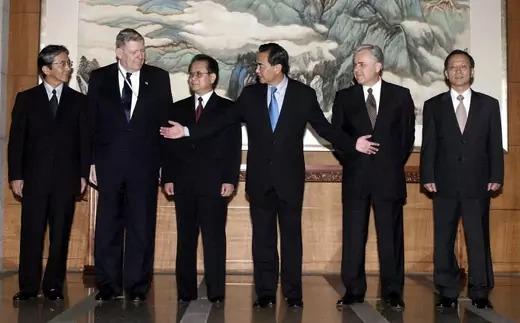 In April 2002, Bush states in a memorandum that the United States will not certify North Korea’s compliance with the 1994 Agreed Framework, due to a rocket test and missile-related transfers to Iran. Pyongyang admits to running a secret uranium-enrichment program to power nuclear weapons, a violation of the Agreed Framework, the NPT, and agreements between North and South Korea. By December, the country says it will reactivate its nuclear plant in Yongbyon. The following month, North Korea withdraws from the NPT after disrupting IAEA monitoring equipment and expelling inspectors. Amid an increasingly tense climate, South and North Korea, China, Japan, Russia, and the United States launch a diplomatic initiative known as the Six Party Talks. There are no breakthroughs during the first round of talks, in Beijing, where North Korea denies having a uranium-enrichment program. 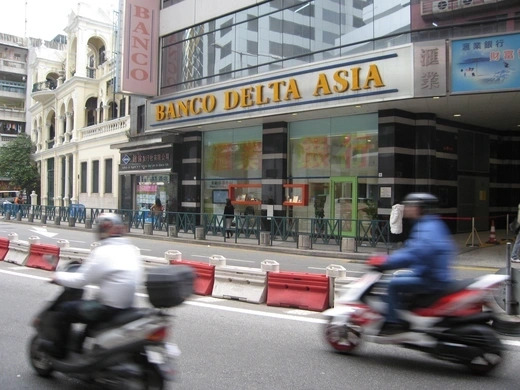 The U.S. Treasury Department designates the Macau-based Banco Delta Asia a primary money laundering concern and freezes $25 million North Korea holds there. These funds will prove to be a sticking point in negotiations between the United States and North Korea. 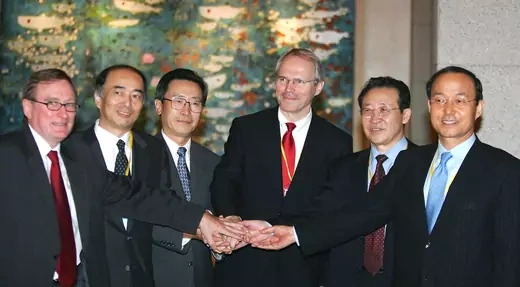 Despite stalemates at previous rounds of the Six Party Talks, its members agree to a joint declaration in which North Korea commits to abandon its pursuit of nuclear weapons and to implement IAEA safeguards and the terms of the NPT. As part of the agreement, the United States asserts that it has no intention of attacking North Korea. North Korea carries out an underground nuclear test with an explosion yield estimated around one to two kilotons. In July, North Korea tested seven short-, medium-, and long-range ballistic missiles. These tests prompt the UN Security Council to issue unanimous condemnations and trade sanctions. North Korea commits to halting operations at its Yongbyon nuclear facilities in exchange for fifty thousand tons of oil. The deal is part of an action plan agreed to by the Six Party members to implement the September 2005 statement. After the United States releases the $25 million in frozen North Korean funds in June, the Six Party Talks resume. Its participants issue a joint statement outlining the North’s commitment to declare all of its nuclear programs, disable its facilities, and stop the export of nuclear material and technology. 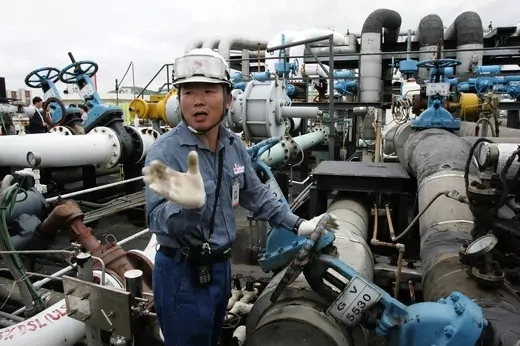 In exchange, the North is to receive nine hundred thousand tons of oil and the United States pledges to remove the country from its list of state sponsors of terrorism. 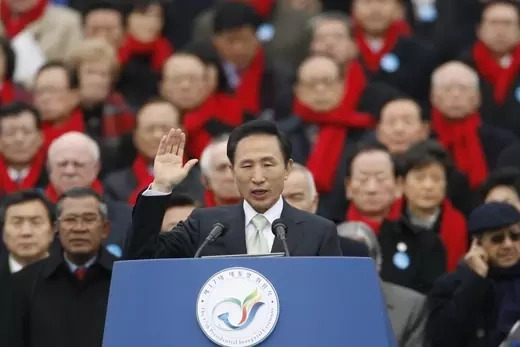 Lee Myung-bak is elected president of South Korea. As the leader of a conservative government, Lee shifts from his predecessors’ push for reconciliation to exert more pressure on North Korea to denuclearize. 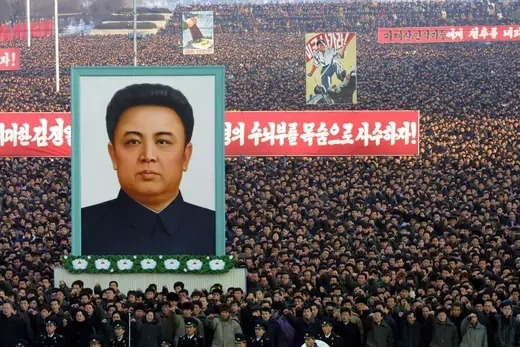 He takes office a few months after the second inter-Korean summit, held between the North’s Kim Jong-il and South Korean President Roh Moo-hyun. 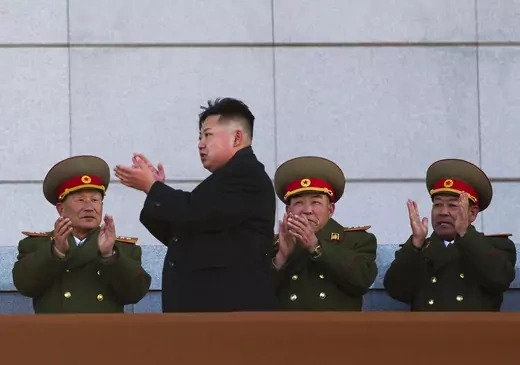 Pyongyang declares its fifteen nuclear sites to Beijing, the chair of the Six Party Talks, stating that it had thirty kilograms of plutonium and used two kilograms in its 2006 nuclear test. In turn, Bush rescinds some restrictions on trade with North Korea, announces plans to take the country off the list of state sponsors of terrorism, and waives some sanctions. In October, the U.S. State Department announces a preliminary agreement with North Korea on verifications. However, by December, discussions break down because of disagreements on verification procedures. President Barack Obama takes office signaling a willingness to revive the Six Party Talks, but these efforts are initially rebuffed by North Korea, which launches a rocket believed to be a modified version of its long-range ballistic missile. 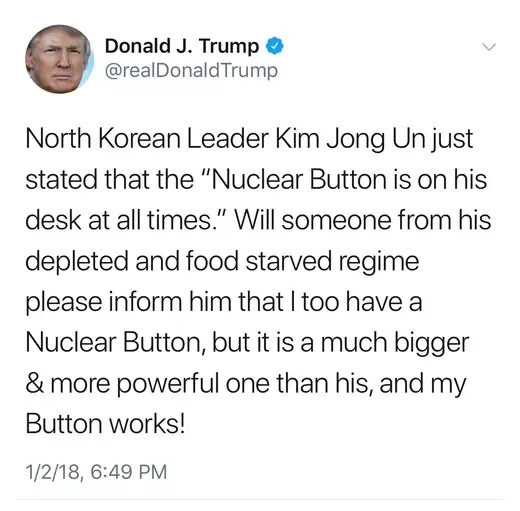 It also ejects international monitors from its nuclear facilities in April and the following month tests a second nuclear device, which carries a yield of two to eight kilotons. In December, Obama administration officials hold their first bilateral meetings with their North Korean counterparts. 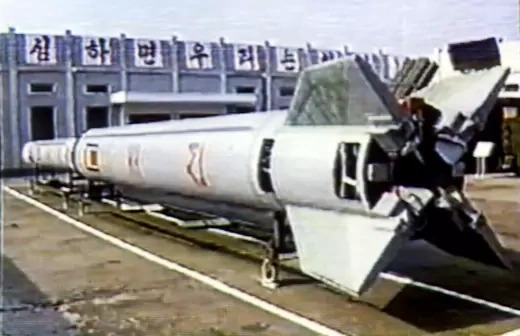 Pyongyang reveals its new centrifuge for uranium enrichment [PDF], which was built secretively and swiftly, as well as a light-water reactor under construction, suggesting that despite sanctions, the regime is committed to advancing its weapons program. The news comes amid escalating tensions on the Korean Peninsula after forty-six South Koreans were killed when a patrol ship, the Cheonan, was torpedoed and then sank in March. The South blames North Korea for the attack and cuts economic ties. 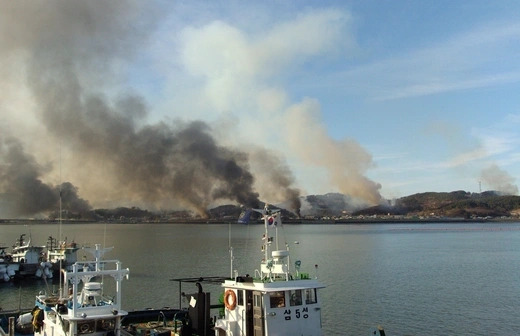 The North denies its involvement and later fires artillery at the South Korean island of Yeonpyeong. Kim Jong-il dies after seventeen years in power and is succeeded by his son Kim Jong-un. The not-yet-thirty-year-old Kim is relatively unknown, and foreign observers anticipate a political struggle until he begins to assert power. 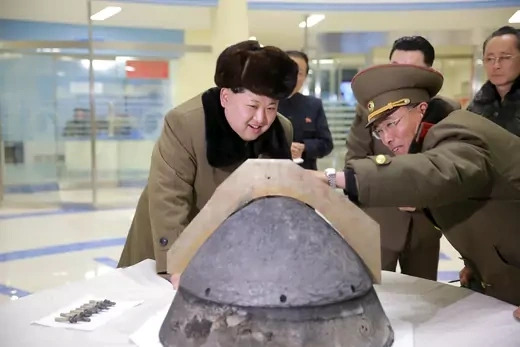 Following a meeting between the United States and North Korea in Beijing, North Korea commits to suspend its uranium enrichment operations in Yongbyon, invite IAEA monitors, and carry out a moratorium on long-range missile and nuclear testing. In exchange, the United States is to provide tons of food aid. The deal falls apart after North Korea launches a rocket and displays road-mobile intercontinental ballistic missiles at a military parade. Diplomacy stalls for several years as the Obama administration opts for “strategic patience,” in which the United States and its partners ratchet up sanctions in hopes that the regime will return to the negotiating table. Meanwhile, North Korea carries out nuclear tests in February 2013 and again in January and September 2016. Its ballistic missile capabilities improve, with more tests of short-, medium-, and long-range missiles carried out under Kim Jong-un than under his father and grandfather combined. President Donald J. Trump is inaugurated in January 2017 and shifts course in U.S. policy toward North Korea. 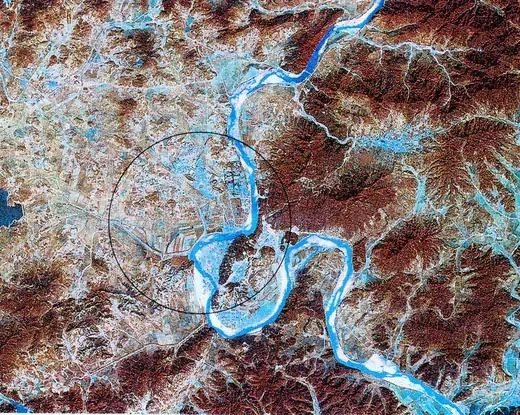 In September, Pyongyang conducts its sixth nuclear test, which it claims is a hydrogen bomb and raises international alarm due to the yield of its explosion. Trump redesignates North Korea a state sponsor of terrorism in November. 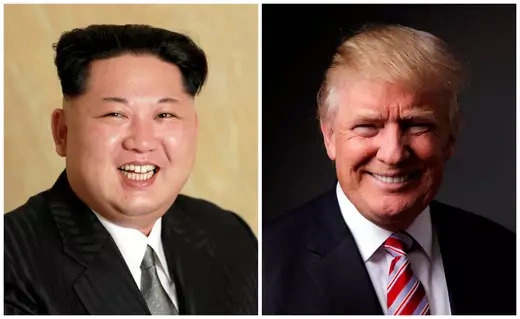 U.S.-North Korean relations during Trump’s first year are volatile as Pyongyang boasts it can reach U.S. soil with nuclear-tipped intercontinental ballistic missiles and the Trump administration threatens a military strike. South Korea’s national security advisor announces in Washington that Trump has accepted an invitation to meet with Kim Jong-un in Pyongyang by May. The news comes on the heels of diplomatic overtures between the North and South spurred by the Winter Olympic Games, hosted by South Korea in Pyeongchang. 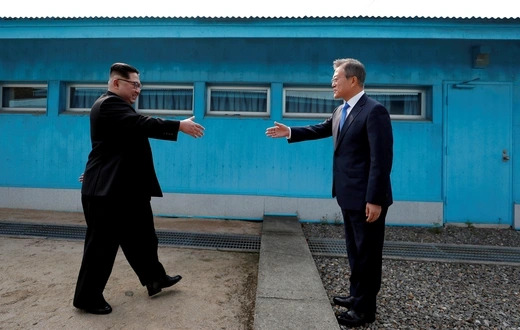 Kim becomes the first North Korean leader to cross the border south for a summit with South Korea’s Moon Jae-in at the truce village of Panmunjom. The summit marks the first meeting between the heads of the Koreas in eleven years. The two pledge to convert the armistice that ended the hostilities of the Korean War into a formal peace treaty. They also confirmed the shared goal of achieving a nuclear-free Korean Peninsula. The U.S. president pulls out of the meeting with North Korea’s Kim Jong-un, citing “anger and hostility” in North Korea’s latest statements. Threats out of Pyongyang had raised doubts about whether the summit would go forward. 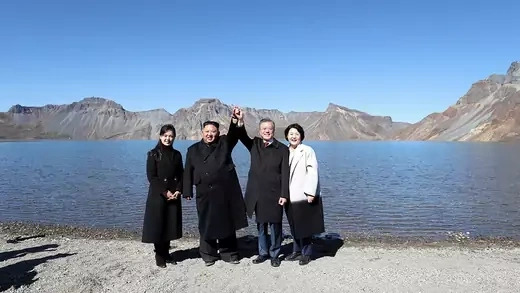 Still, North Korea had taken some action in recent weeks to demonstrate good faith by releasing three U.S. prisoners and demolishing the nuclear test site at Punggye-ri, where foreign journalists were invited to witness the event. In an about-face, Kim and Trump hold a historic meeting in Singapore, where they signal a desire to change the U.S.-North Korea relationship. The two leaders sign a joint statement pledging to pursue lasting peace and complete denuclearization of the Korean Peninsula, although the declaration provides few details. They also commit to recovering the remains of U.S. soldiers who fought in the Korean War. Separately, Trump says he would suspend U.S.-South Korea military exercises and Kim agrees to destroy a missile-engine test site. In the third summit between Kim and Moon, this time in Pyongyang, the leaders sign a joint declaration outlining steps toward reducing tensions, expanding inter-Korean exchanges and cooperation, and achieving denuclearization. It states that the North will permanently shut down the Dongchang-ri missile test site, allow international inspectors into North Korea, and dismantle its nuclear site pending “corresponding measures” by the United States. An accompanying military declaration outlines steps to curtail ground exercises, establish no-fly and no-sail zones under the jurisdiction of inter-Korean bodies, and transform the demilitarized zone into a peace zone. The two sides also pledge to strengthen economic cooperation. Trump and Kim’s second summit, held in Vietnam, collapses after the leaders disagree over sanctions relief and denuclearization. 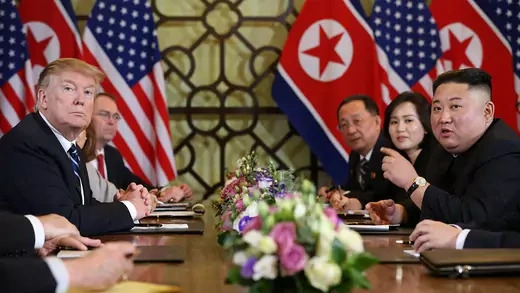 Trump says Kim agreed to dismantle the nuclear and fissile material production facilities at Yongbyon in exchange for complete sanctions relief, but the U.S. president wanted more substantial steps on denuclearization and verification. North Korean officials dispute Trump’s account, saying Kim demanded only partial sanctions relief. Both leaders leave Vietnam early, without signing a planned joint statement, but indicate talks will continue. Trump says they parted on “friendly” terms, while North Korea’s foreign ministry warns it will not change its position.